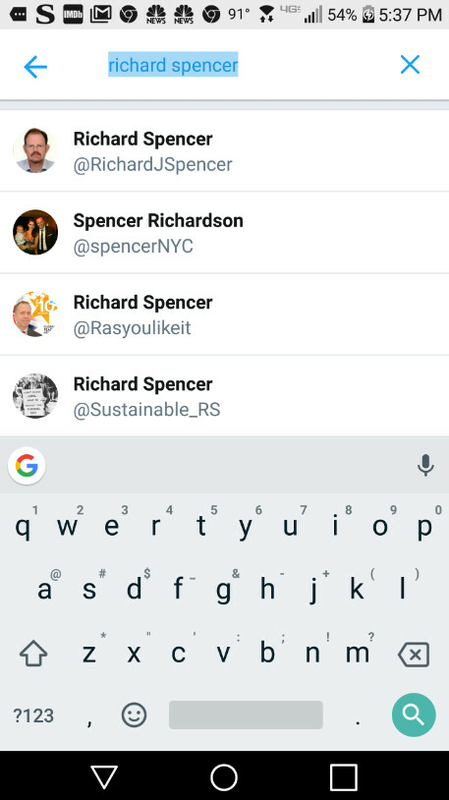 Twitter burying far-right activists in its search results? According to a report published today, it appears that Twitter has been burying certain accounts in its search results. The accounts mentioned in the report belong to far-right activists like Jason Kessler and Richard Spencer. The pair organized the Unite the Right rally in Charlottesville that led to outbreaks of violence last August. Neither one's Twitter name or @handle appear on Twitter's dropdown search results. Twitter users have told the company that it would like to see accounts run by white nationalists, conspiracy trolls and neo-Nazis removed from the platform, which has been criticized in the past for enabling such users and helping them spread violent messages. By making it harder to find accounts that have been "bad-actors" in the past, Twitter is simply trying to make itself a place where users can engage in more refined and cerebral conversations, and less of a breeding ground for violent confrontation. Twitter isn't the only social media site that has been trying to reduce the impact of far-right content from conspiracy theorists, white nationalists and neo-Nazi's on its site. Earlier this year, YouTube tried to weed out such content from its massive library of videos, but removed legitimate videos by mistake. Eventually, YouTube fixed its mistake and re-posted videos that weren't supposed to be removed, and axed those that scheduled to disappear from the site. The left is doing damage by desensitizing the Nazi moniker by calling whites who they disagree with “Nazis”. Serious issue. They are not aware everyone is as concerned with race like they are, outside their bubbles. Another form of suppression from the fascist left. They are the true Nazis, projection at its finest. The left are so easily triggered and usually looking for a way to feel oppressed or offended. ^^^ LOL. I'll be back when the comment section is more active.